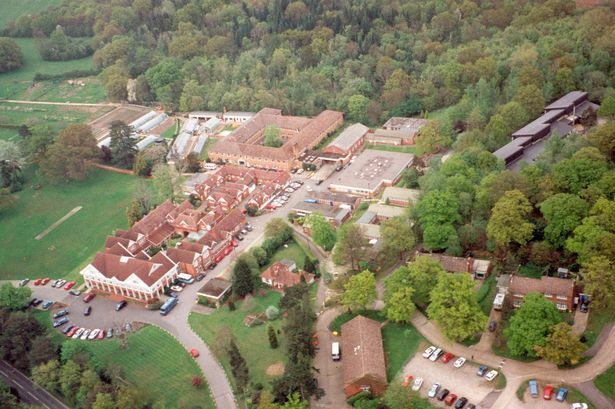 Plans for a £22 million ‘centre of excellence’ for disabled and disadvantaged people in Leatherhead have been approved by Mole Valley District Council. The Queen Elizabeth’s Foundation for Disabled People’s (QEF) application to demolish and rebuild all its facilities on their Woodlands Road site was accepted by the development control committee at Pippbrook on Wednesday evening – despite concerns that it could set a precedent for development in the green belt. The charity is funding the project by building and selling off 76 homes on its site, which required permission due to it being a green belt site. At the meeting, QEF’s chief executive, Jonathan Powell, urged the committee to approve the application as the charity could not continue providing services for disabled people in its older buildings which are currently sitting unused. After a long debate in the council chamber, nine councillors voted for approval, with five voting against and two abstentions. After the decision, Mr Powell said: “We are very pleased that our plans have been approved. The new charity hub will rejuvenate the services we offer to people with disabilities and have much to offer to the region and the local community. “I’d also like to say a massive thank you to everyone that supported QEF by writing to the council and raising their voices on social media to share their views. “This was heart-warming to see and was invaluable in terms of making Mole Valley’s development control committee aware of the strength of support that exists for the work we do, and just how essential these plans are to our future. “I’d also like to thank the committee members for granting us permission to proceed. Councillor Margaret Cooksey, representing Dorking South, and vice chairman of the development control committee, had earlier presented a motion against the application on the basis that it was harmful to the green belt and was not a sustainable site due to lack of transport links. She said: “I am the last person that wants to take a decision that would interrupt the work that QEF does, it is so vital. But that has to be to put aside because that is not a planning consideration. “Approval of this plan would drive a coach and horses through our current policies and would make it incredibly hard for us to support any other green belt sites in this district. I feel so strongly about that. “All of the other members of the committee have all recently put in writing that they will all do their upmost to support their residents view that in our position we should be taking all actions required to protect the green belt within this district. John Northcott, portfolio holder for planning, told the committee that this application was not building on the green belt, but was in fact building on a brownfield site within the green belt, as the land had already been developed by QEF and the application was to build within the footprint of the current structures. He said: “I do not believe the green belt is actually an issue. It will still be green belt and it is not taking land out of the green belt. The Campaign to Protect Rural England woke up very late in the day, they had no objections until recently. “In fact, they have recently set up a website asking for help in finding brownfield sites for new homes, this is a brownfield site. The total cost of the development is estimated to be £22.3 million with the development to take place in phases. Next → Next post: GGG will be holding a public meeting in Send on 17 November 2014 at 7.30pm.